Jansaree Na is no stranger to technical education. A senior at Washington Technology Magnet School in St. Paul, Na is already taking advantage of an education focused around science and math. So when Dunwoody’s Associate Director of Special Initiatives Peggy Quam visited her school to talk about the Youth Career Awareness Program (YCAP) during her junior year, Na was more than interested. 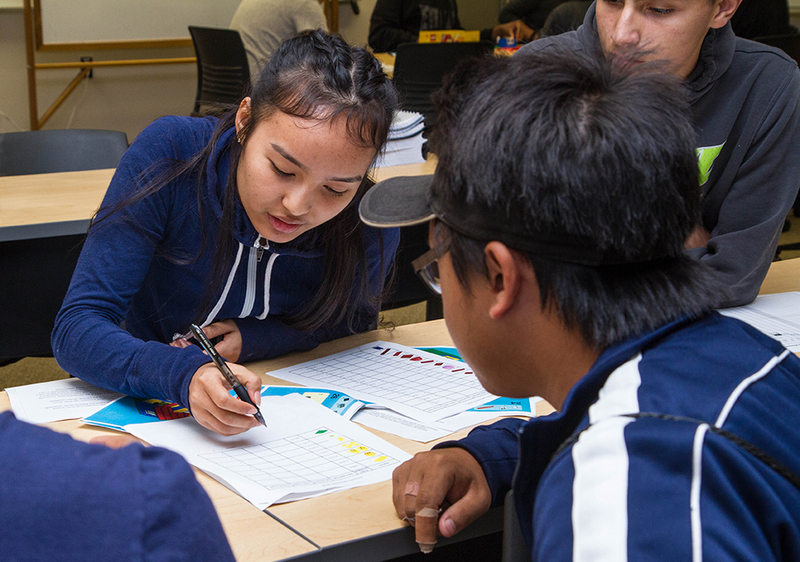 The Program aims to help students graduate from high school and prepare them for life-long careers as leaders, managers, and technical professionals in their chosen field of study. YCAP student Jansaree Na participates in a group activity during the YCAP College Prep Summer Camp. The scholarship recipients spent six weeks at Dunwoody during the summer exploring different career fields and participating in hands-on activities. So earlier this year, she applied and was accepted into the program. Na then participated in Dunwoody’s 2018 YCAP College Prep Summer Camp June 11-July 20. Throughout the Camp, Na visited various businesses and industry partners to get a feel for what it would be like to work in different fields. She also participated in hands-on projects and activities as well as college-readiness courses. Na enjoyed the camp, saying she appreciated the small class-sizes and the cool lab spaces here at Dunwoody. Na hopes to pursue engineering after she graduates from high school.